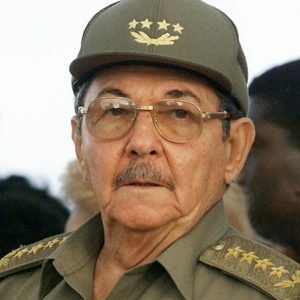 Cuba’s leader, Raul Castro, will be postponing his retirement and will now step down in April instead of February. Castro, 86, had originally planned to retire on February 24, 2018, the end of his second five-year term. Now, the naming of Castro’s successor will take place April 19. The official announcement said the decision was made because of the impact of category 5 storm Hurricane Irma, which hit Cuba in September. The destruction caused by Irma delayed the island’s elections process, which in turn delayed the appointment of the Cuban National Assembly, which selects Cuba’s president. Provincial elections where candidates are selected by slates determined by electoral commissions were postponed until March 25, while the election of a new National Assembly and the selection of a new president will occur on April 19. This is the first time since 1976 that the Cuban government has changed the dates of the elections. Castro has given first Vice President Miguel-Diaz Canel his blessing to be the next president of Cuba. Born in 1960, Diaz-Canel is a more modern figure, using an electronic tablet during government meetings and rumored to like rock ‘n’ roll music. However, he has been seen in a video bashing Cubans who celebrate Halloween, saying they are copying Americans. Cuban officials say Castro is prepared to turn over the day-to-day operations of the government to a new leader. When Diaz-Canel takes office, it will be the first time that Cuba was ruled by a leader not named Castro since 1959. The revolution that year ended with Raul Castro’s older brother Fidel Castro in power. Castro is still expected to remain First Secretary of the Cuban Communist Party, a powerful title, until 2021. Cuba is currently dealing with increased tensions between it and the United States due to mysterious acoustic incidents that have negatively affected the health of American diplomats stationed there. The incidents caused hearing loss and other health problems for 24 diplomats stationed in Havana. The U.S. hasn’t directly blamed Cuba for the incidents, but says that Cuba had a responsibility to protect American diplomats while in the country. The U.S. has also ordered the expulsion of 15 Cuban diplomats from Washington.